When Theresa May emerged from a marathon five-hour cabinet meeting to announce that her cabinet had agreed to back the draft of a Brexit withdrawal agreement she said it was “the best that could be negotiated”. The decision paved the way for the publication of the text of the agreement, running to 585 pages. But it has long been clear that any deal the prime minister would secure was always going to be too Leave for the “Remoaners” and too Remain for the “Brextremists” in the Conservative Party. Remoaners want all the EU benefits we currently enjoy, and Brextremists want none of the obligations. It echoes my daughter’s firm and unyielding declaration recently: “I don’t want to wear a coat, and I don’t want to be cold.” A deal that combines those two is simply not available (she wore the coat). The inevitable consequence is that at some point there has to be a confrontation between those two stances. So far, it has been continuously postponed by keeping the details of a final deal as vague as possible. But with time inevitably running out, postponement was never a long-term solution. Exactly what that confrontation will look like is as yet unknown, but considering how incompatible the positions of the two camps are someone will have to lose badly. It’s not impossible, if still unlikely, that the losers will feel sufficiently aggrieved to be compelled to leave the Conservative Party. The impossibility of the task still facing May is illustrated by the fact that no one else wants her job right now. 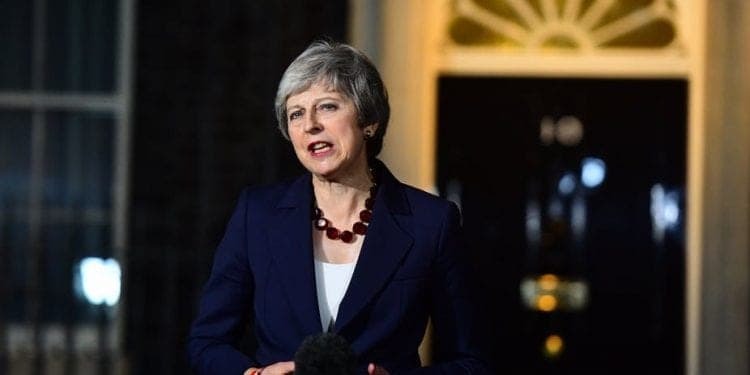 Despite extensive criticism of her approach to Brexit, none of the big beasts in the Brexit camp have overtly challenged her for the leadership, and the letters to the chair of the 1922 Committee are so far tantalisingly short of the magic 48 needed to trigger a challenge. If and when the number does reach 48 it is entirely likely that May would win a vote of confidence unless someone is willing to lead the charge as a would-be alternative leader – which seems unlikely given the nature of the job right now. This strongly suggests that no one else thinks they could do better. In short, at the moment, it seems the Conservative Party is capable neither of supporting May nor ousting her. While May has managed to get her cabinet to support her leave deal, the underlying divisions remain. Although the two sides of the debate in the Conservative Party are clearly miles apart, they at least seem to be fairly united on the view that the deal reached by May’s negotiating team presents an inferior position to what the UK has now as a full member of the EU. That is likely to make getting the deal through parliament extremely difficult. As one of the Democratic Unionist Party’s (DUP) members of the Northern Ireland assembly, Peter Weir, wrote on Twitter: “Politics may be the art of the possible, but it is also the science of mathematics of votes.” Considering the combined hostility of the DUP, pro- and anti-Brexit Tory backbenchers, and a united opposition to the deal, the mathematics of votes are clearly very much against May. In the very likely case that parliament rejects May’s deal, there are probably three broad scenarios that could play out. First, May could go back to the 27 EU member states and try to get changes to the deal based on objections raised by MPs. Considering the unsquareable circle outlined above, that is unlikely to yield a solution. Second, May could throw in the towel and let someone else have a go, or she could be ousted in a leadership challenge. What happens after that depends on who her successor ends up being. It’s unlikely that anyone else would be able to do any better. The problem here is not with May, but with the impossibility of the task. Third, she could call an election, which Labour would support, generating the necessary parliamentary vote required under the Fixed Term Parliament Act. May would then campaign to get a democratic mandate for her deal. That didn’t work out so well in the 2017 election, but the difference is that now there is an actual deal on the table. The attraction of this option is that May’s own backbench critics, both pro- and anti-Brexit, would be forced to either support the deal or effectively campaign against their own party. Under this scenario, Labour would also get the election it has been demanding and the “creative ambiguity” that has served the party well so far would come under intense pressure as it would have to decide what platform to campaign on. The Labour Party’s own fault lines might then be brought to the fore. So, May has managed to push her deal through this most recent hurdle by getting cabinet approval. However, getting parliamentary support promises to be a far more traumatic and quite possibly unachievable task.